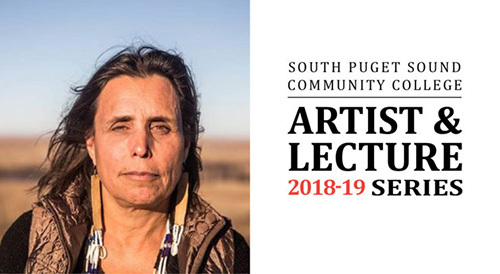 South Puget Sound Community College is proud to present its next 2018-19 Artist & Lecture Series speaker, Winona LaDuke, on Feb. 7, 2019, at 7:30 p.m. in the Kenneth J. Minnaert Center for the Arts. LaDuke is a widely-recognize writer, political activist, and outspoken advocate of Native American causes. She writes extensively about human rights, Native land reclamation, environmental justice, and culturally-based sustainability practices. LaDuke will hold a lecture on her causes and organizations, including the Honor the Earth and the White Earth Land Recovery Project, with time to dive deeper through a Q&A session. The afternoon before her lecture, LaDuke will also be holding a discussion with Native high schoolers invited through the FIRE Summit. Tickets to the Feb. 7 lecture are available for $10 or less through the box office at The Washington Center for the Performing Arts.